The first two winners of the Cadets' "This I Believe" essay contest have been notified, their entries a powerful testament to the values they hold dear in their lives. Christopher E. Bruce, 18, of Westminster, Md., and Macie Poskarbiewicz, 10, of Euclid, Ohio, will enter the field with the Cadets when they present their 2007 program "This I Believe" during their first two Drum Corps International events this summer. Bruce will march in the Annapolis, Md., show on June 16 while Poskarbiewicz will make her appearance in Pittsburgh, Pa., on June 17. They are the first of a possible 35 winners in the Cadets "This I Believe" essay contest, with each performance by the corps this summer featuring a literary natural who took a chance, opened up and shared the values that guide them through life. 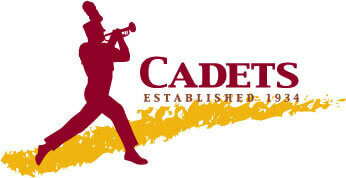 The contest was announced in early May as a way to involve fans in the corps' 2007 program, "This I Believe," an artistic interpretation of those philosophies that make being a Cadet, and part of a drum corps, unique and special. Read the two essays on YEA.org.